What role does sociology play in research about social-ecological transformations? 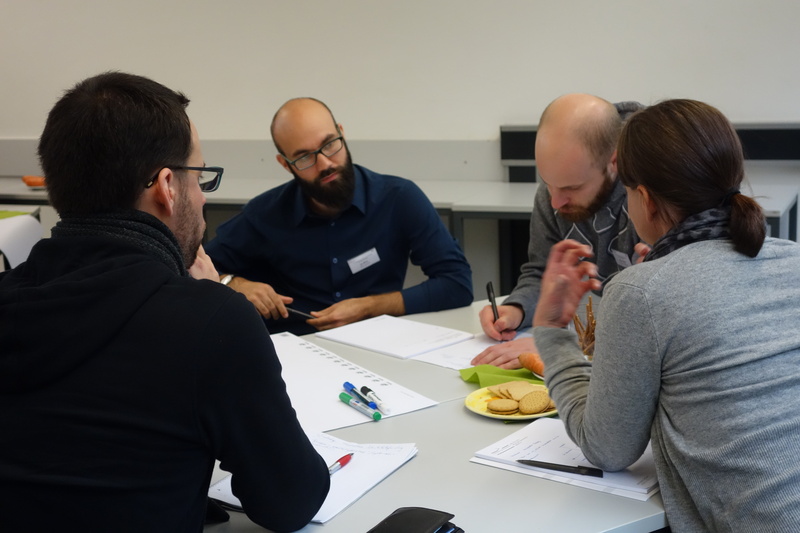 The 13th convention of the junior group “Environmental Sociology” (NGU) took place in Münster this year and PlastX featured a two-hour workshop. Looking at surveys on environmental awareness levels in Germany, one may wonder why we still have to deal with air pollution, sealing of soils and biodiversity loss. There seems to be much awareness about environmental issues, but little behavior change. Sociologists say that awareness is not enough to induce social-ecological transformations; there are societal conditions and structures at different levels that play a big part in sustainable practices. How can these collective constructs be changed towards more sustainable futures? What role can (environmental) sociology play in research about social-ecological transformations? These were the key questions at the 13th convention of the junior group “Environmental Sociology” (NGU) in Münster from the 13th till the 14th of October 2016. More than 20 junior researchers from sociology and other disciplines within sustainability and transformation sciences discussed how sociological research, social movements and individuals can contribute to more sustainable futures. The keynote speaker Anna Henkel (Leuphana University) stated that sociology has not fully embraced sustainability studies due to their linkage to materiality as well as transformative and normative connotation. This difficulty was also reflected by the opinion of some participants who found it problematic to take a normative position as a researcher: “Sociology is there to elucidate, analyze and criticize, not to solve and act on problems”. Others highlighted the potential contributions of sociological research for social-ecological transformations and some even emphasized the need for transdisciplinary sociological research that collaborates with experts from societal practice: “the quest for sustainability needs the ideas of those who are later the ones to implement it”. Presentations, workshops and active discussions during the two days allowed for a broad understanding of “Sustainability between Aspiration and Social Practice” from the perspectives of system science, governance theories, sustainability benchmarking and individual practices. Representing the transdisciplinary PlastX project, Lukas Sattlegger and Magdalena Langer gave a two-hour workshop in which participants reflected on their own position between an analytical and a normative conception of science on the one hand and systemic or more specific levels of analysis on the other hand. Participants discussed about advantages and disadvantages of sociological-theoretical, practice-oriented, socio-critical or solution-oriented approaches. There was agreement that, as a scientist, these positions can change during the research process, however, it is key to for researchers to reflect on their own position and their scientific practice. “Sociological research is not happening in a bubble, it interacts with the world around. So we have to face questions on normativity and solution implementation. However, I don’t think it is sociology’s main purpose to change the problems it reveals”, concluded Lukas after the workshop.